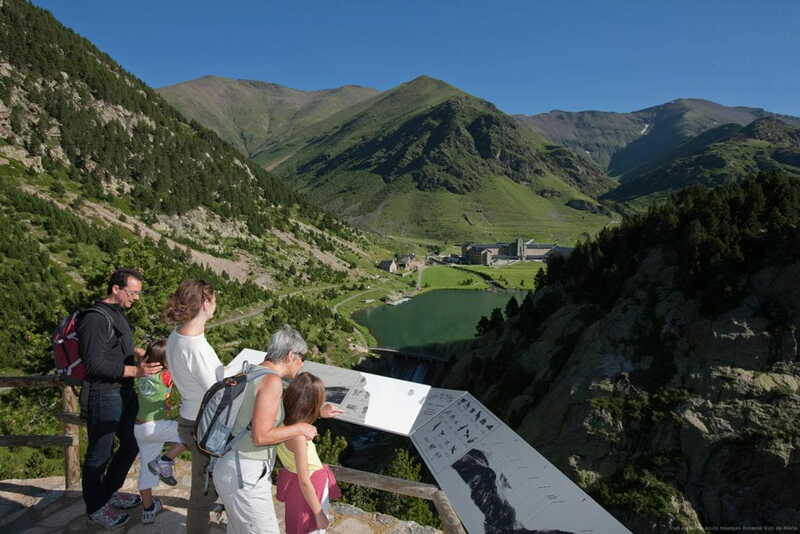 To arrive here you have to leave the car at Ribes de Freser village, where you can catch the rack railway which will take you to Núria´s Sanctuary. Here, you can spend a nice day in winter or in summer. In winter you can enjoy the ski run and the snow but in summer the landscape is beautiful too and you can get into a boat in the lake. If you want rather walk, instead of catch the rack railway, we´ll continue by car to Queralbs. There, we´ll park the car and we´ll continue through a very frequented path (to ascend on Núria's Sanctuary there are nearly 2 or 3 walking hours).